Billed as “the most comprehensive picture ever assembled of the evolving universe,” the latest image captured by the Hubble Space Telescope is an explosion of color that depicts thousands of galaxies in the universe. 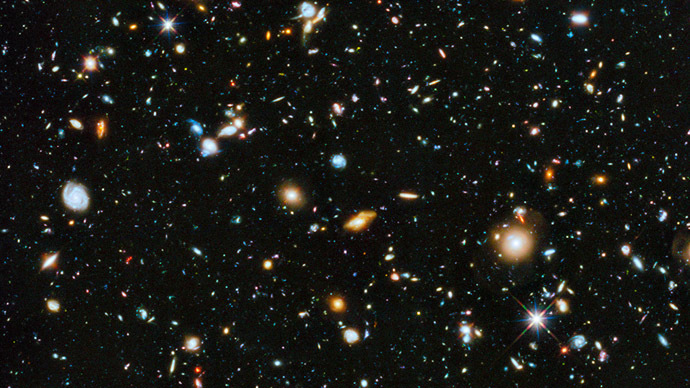 Released on Tuesday, the beautiful image is part of a survey exploring the Hubble Ultra Deep Field – a portion of space in the constellation Fornax that astronomers have been compiling for more than 10 years – and features approximately 10,000 galaxies. The visualization covers 8.2 billion years into the future at 105 million years per second. Colors are representative: light blue for spiral galaxies (considered “blue” in astronomy parlance because of their active star formation) and orange-yellow for elliptical galaxies (called “red” by astronomers for their old stellar populations). A random background field of galaxies has been added to the simulation in order to indicate the camera motion through the simulation volume. For over 20 years, the Hubble Space Telescope has explored our universe 24 hours a day, 365 days a year, supplying heavenly images of the universe. Here’s the best of the bunch. 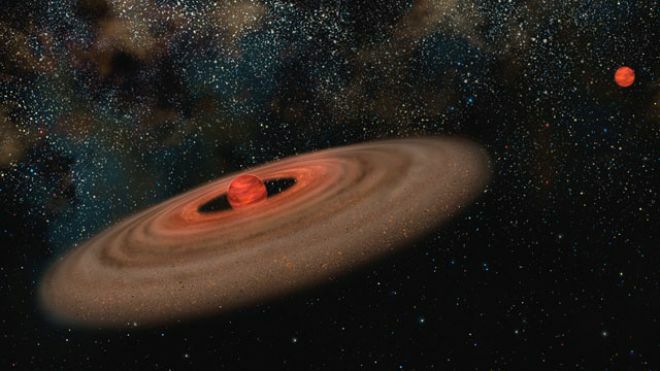 April 6: Hubble has discovered a planet-like object circling a brown dwarf, seen in this artist’s conception. It’s the right size for a planet, estimated to be 5-10 times the mass of Jupiter. This new observation addresses the question: How small can an object be and still be a brown dwarf rather than a planet? This new companion is within the range of masses observed for planets around stars — less than 15 Jupiter masses. But should it be called a planet? Once it is fully operational, the new radio telescope will sync up with ground-based observatories to form the biggest telescope ever built. It will be known as RadioAstron, with a “dish” spanning 30 times the Earth’s diameter. Experts say it will be able to deliver images from the remote corners of the universe at 10,000 times the resolution of the US Hubble Space Telescope. “We’ve been waiting for this day for such a long time,” says Nikolai Podorvanyuk, a researcher at the official Institute of Astronomy in Moscow. “It’s been planned since the 1980s, but has repeatedly fallen through for a variety of reasons. But now it’s here, and we’re bracing for all the new information it’s going to deliver, especially about black holes,” he says.